The kit includes front fender, rear fender, front number plate, fork guards, side panels and radiator scoops. 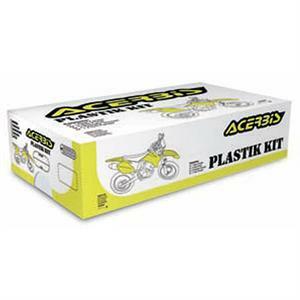 All plastics kits have the original factory shape of the according model. Material: Polypropylene.